Yes! This is my first what’s Tameeka listening to post for 2018. The year was 1993 I was up late watching headbangers ball when I saw Type O Negative Christian Woman video. 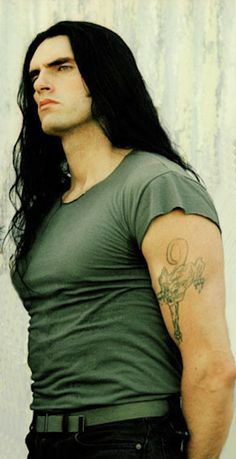 I fell completely in love with Peter Steele’s voice and his looks. There’s no female fan of Type O Negative who doesn’t feel like I do. Today is Peter Steele’s birthday he was the leader singer, composer and bassist of Type O Negative. I was so sad to hear about his passing on April 14,2010, he was a really talented guy. Type O Negative helped to make the 90’s music great. My favorite album by Type O Negative is called Bloody Kisses. The music of today can’t hold a candle to the music of the 90’s. Every genre of music of the 90’s was excellent that’s a fact. Often I have wondered what my mom thought when she passed my bedroom hearing all the different kinds music. My mother was really an amazing lady she allowed me to be me completely and didn’t question my choices. My mother wanted me to be happy, heck she liked some of the metal songs that I listened to as well. Peter Steele this post is for you. I wish that I could have watched you play live but it’s okay I’ll keep jamming to your music. There’s so many other things that you did that added to your sexiness but I’m just going to keep it classy. RIP.